A great resource to compare the thought of N.T. Wright and Marcus Borg is The Meaning of Jesus: Two Visions. In it, each shares their view on a variety of topics surrounding the historical Jesus and Christianity. In my opinion, it’s a good comparison of classic “conservative vs. liberal” thought within modern Christianity. 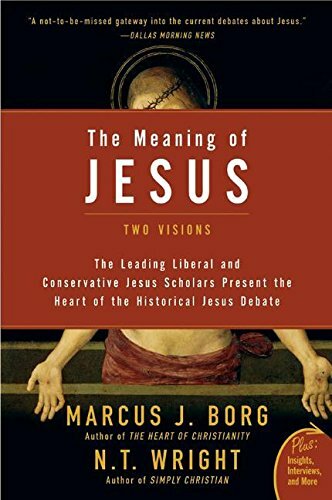 While Tom Wright is typically the historical Jesus scholar of choice for conservative Christians, I would argue that Marcus Borg is the favorite of progressives. Borg (1942-2015) taught for most of his career at Oregon State University, lectured widely, and wrote about both the historical Jesus and how the Church could function in light of modern critical biblical scholarship. His most popular works are Reading the Bible Again for the First Time, Jesus: The Life, Teaching, and Relevance of a Religious Revolutionary, and The Heart of Christianity. During his career, Borg was in dialogue with many of the scholars in this series, including N.T. Wright, Dale Allison, and John Dominic Crossan. He was also a member of the Jesus Seminar. 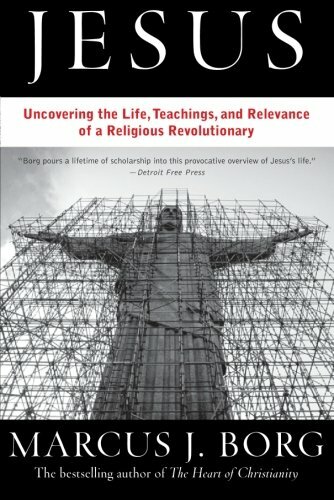 To outline Borg's reconstruction of the historical Jesus, I will be using his Jesus: The Life, Teaching, and Relevance of a Religious Revolutionary. To open his book, Borg details what he believes to be the two dominant pictures of Jesus in modern society – what he calls the "popular image" and the "scholarly image." Ultimately he believes that both of these pictures are mistaken, and sees his own reconstruction as a "third way." "The popular image is most familiar to Christian and non-Christian alike: the image of Jesus as a divine or semidivine figure, whose purpose was to die for the sins of the world, and whose life and death open up the possibility of eternal life. Its answers to the three questions of identity, purpose, and message are clear. As the divinely begotten Son of God, he was sent into the world for the purpose of dying on the cross as a means of reconciliation between God and humankind, and his message consisted primarily of inviting his hearers to believe that what he said about himself and his role in salvation was true. The image is widespread, with degrees of sophistication and elaboration. Billboards and evangelists proclaim, 'Jesus died for your sins,' suggesting that this was his purpose in a nutshell. Much of Christian preaching takes the popular image for granted. The celebration of the major Christian festivals in our culture reinforces the image. Christmas, with wise men and shepherds and angels, a manger and a star and a virgin, tells the story of his wondrous birth and thus calls attention to his divine identity; Easter focuses on his triumph over death. The popular image has its roots deep in the past, indeed in the language of the New Testament itself. Among the gospels, its primary source is John, probably the most loved and familiar gospel. There Jesus speaks of his identity in the most exalted terms known in his culture, especially in the magnificent series of 'I am' statements: 'I am the light of the world,' 'I am the bread of life,' 'I am the resurrection and the life,' 'I am the way, the truth, and the life,' 'Before Abraham was, I am.' The self-proclamation of his own identity in the 'I am' statements is buttressed by other passages in John: 'The Father is in me and I am in the Father,' 'He who has seen me has seen the Father,' 'I and the Father are one.' In a single verse, the fourth gospel sums up Jesus’ identity, purpose, message, and the proper response to him: 'For God so loved the world that he gave his only Son, that whoever believes in him should not perish but have everlasting life.'" "...once this fundamental contrast between John and Mark was seen, a great historical “either/or” presented itself to scholars. Either the historical Jesus openly proclaimed his divine identity and saving purpose (John), or he did not (Mark). To put the issue most directly, Jesus could not consistently proclaim his identity and at the same time not do so. Thus the question became, 'Which image of Jesus is more likely to be like the historical Jesus, John’s or Mark’s?' The nearly universal answer given by scholars was 'Mark.' With that answer, the popular image’s basis as a historical image disappeared. The image of Jesus as one who taught that he was the Son of God who was to die for the sins of the world is not historically true." Borg thus dismisses the popular image of Jesus as historically untrue. He then goes on to discuss the dominant scholarly image of Jesus for the past century – that of an "Apocalyptic Prophet." "According to the consensus (of 'scholarship'), from such an examination of Jesus’ message and mission we may surmise that he was an 'eschatological prophet' or perhaps even 'the eschatological prophet.' The phrase needs some unpacking. Eschatology is that branch of theology which concerns the 'end time'—the end of the world, last judgment, and the dawning of the everlasting kingdom. An eschatological prophet is one who announces the end. There is some evidence that some in the Jewish tradition near the time of Jesus anticipated such a prophet, 'one like unto Moses' or perhaps even greater than Moses, who would appear immediately before the end of time. To say that Jesus was the eschatological prophet is to say that he saw himself as the prophet of the end who proclaimed the end of the world in his own time and the urgency of repentance before it was too late. That was the core of his message and mission. This eschatological understanding of Jesus and of the Kingdom of God had its origin primarily in the work of Albert Schweitzer (1875-1965) at the beginning of this century. He is most familiar to us as a world-famed medical missionary, Nobel prize recipient, and a modern 'saint.' But as a young man Schweitzer, prior to going to Africa, wrote two brilliant books that decisively shaped Jesus studies for the rest of the century. Calling attention to the element of crisis running throughout the gospels and the statements about the coming of the 'Kingdom of God' and 'the Son of man' who would bring all earthly history to a close, Schweitzer argued that Jesus expected these events in the immediate future and saw his death as playing a decisive role in bringing about the end. Jesus was mistaken; the end did not come, and he died perhaps realizing his mistake. Though Schweitzer’s work initially created a sensation and still strikes many as outlandish when they first hear of it, his basic image of Jesus as eschatological prophet gradually became the consensus understanding among scholars. Stripped of some of its details, it became the dominant image in German New Testament scholarship and, through the influential role played by German scholarship, in much of North American scholarship. To be sure, scholars also recognized that Jesus spoke of the Kingdom as present and not only future, but the future imminent Kingdom continued to be emphasized. The image of Jesus as one who proclaimed the end of the world and the urgency of repentance remained." "The majority of scholars no longer think that Jesus expected the end of the world in his generation." That is, the scholarly consensus regarding Jesus as Apocalyptic Prophet is over. Borg then goes on to detail a "third way" of seeing the historical Jesus. After outlining two images of Jesus which he finds unsatisfactory, Borg spends the rest of his book painting his own picture of the historical Jesus. Borg uses five categories through which to understand the historical Jesus: charismatic (or "mystic"), healer, sage, prophet, and movement-founder. "The cumulative impression created by the synoptic gospels is very strong: Jesus stood in the charismatic tradition of Judaism which reached back to the beginnings of Israel. Matthew, Mark, and Luke all portray him as a Spirit-filled person through whom the power of Spirit flowed. His relationship to Spirit was both the source and energy of the mission which he undertook. According to these earliest portraits, Jesus was one who knew the other world, who stood in a long line of mediators stretching back to Elijah and Moses. Indeed, according to them, he was the climax of that history of mediation. Moreover, as we shall see, Jesus’ relationship to the world of Spirit is also the key for understanding the central dimensions of his ministry: as healer, sage, revitalization movement founder, and prophet." Flowing from Jesus' experience of the Spirit, Borg's second category is Healer. The tradition is filled with stories of Jesus performing physical healing and exorcisms. Although Borg is not certain as to the historicity of these events, he remains open to the possibility. At a minimum, the stories are symbolic, and encourage the Christian community to view Jesus through this lens. "Mediators between the two worlds of the primordial tradition often become 'people of power' or miracle-workers, especially healers. To be sure, not all do. In the history of Israel and other cultures, some were primarily mediators of the divine will as prophets and law-givers, or of 'supernatural' knowledge as diviners or clairvoyants. Others were charismatic military leaders, 'spirit warriors.' But some became channels through which healing power flowed from the world of Spirit into the visible world. Such figures of power ('men of deeds,' as they were called in Judaism) were known in first-century Palestine, both in her ancient tradition (notably, Elijah) and in charismatics contemporary with Jesus such as Hanina ben Dosa and Honi the Circle-Drawer. Jesus was one of these 'men of deeds.'" Borg's third category for the historical Jesus is that of a Sage. Borg believes that Jesus, as teacher, showed his disciples a path, or a "way." This "way of Jesus" involved an inner transformation of the heart and was marked by self-sacrifice. It was a path that was counter-cultural, an "alternative wisdom." Just as Jesus used a multiplicity of images in his diagnosis of the human condition, so he also used many different images to speak of the cure, that is, the path of transformation. Underlying this diversity is a common conceptual understanding which comes to expression most clearly in the first three images we shall treat: a new heart, centering in God, and the way of death. The images intertwine with each other, even as each works separately as well. Each expresses what the 'cure' involves, even as it adds nuances of meaning that may not be captured by the other images." Borg's fourth category for Jesus is Prophet. Standing in the line of Israel's prophets, Jesus "spoke truth to power," and radically critiqued the Judaism of his day. This is especially seen in his critique of Jewish elites (i.e. their treatment of the "holiness code," etc.) and his actions in the Temple. "Of all the figures in his tradition, Jesus was most like the classical prophets of Israel. Active from about 750 B.C. to 400 B.C., they are among the most remarkable people who ever lived. Sharing the feature which defines the figure of prophet as known in many cultures, they were 'verbal mediators' or messengers between the two worlds of the primordial tradition. Indeed, the name of the last of them, Malachi, means simply 'my messenger.' Their role as messengers of God flowed out of the intensity of their experiences of the Spirit, among the most vivid in the Spirit-filled tradition of Israel. As mediators of the Spirit, they spoke 'the Word of the Lord,' and the 'I' of the prophetic speeches is most often the divine 'I.' Moreover, their language was vivid, compact, and poetic, surging with extraordinary energy. Especially characteristic of them was their passionate and critical involvement in the historical life of their people in their own day. Speaking in times of historical crisis, they radically criticized their culture in the name of God and became voices of an alternative consciousness challenging their culture’s dominant consciousness." Finally, Borg sees Jesus as a Movement-Founder. Although Jesus intended his movement as a revitalization of Judaism, its influence obviously ended up spreading beyond Israel. Christianity as a separate religion only occurred because of the rejection of most of the Judaism of Jesus's day. "We commonly think of Jesus as the founder of Christianity. But, strictly speaking, this is not historically true. Instead, his concern was the renewal of Israel. Toward this end, he created a sectarian revitalization or renewal movement within Israel, now commonly called the 'Jesus movement,' whose purpose was the transformation of the Jewish social world. The relationship between a renewal or revitalization movement and a social world is one of both affirmation and advocacy of change. On the one hand, such movements profess a strong loyalty to an inherited social world or tradition (if they did not, we would speak of them as new movements rather than renewal or revitalization movements). On the other hand, they claim that present circumstances call for a radical response. Spawned by a perceived difference between how things are and how they ought to be, all within the framework of a tradition, they affirm a tradition, even as they seek to revitalize or transform it. The fact that Jesus did not intend to create a new religion but intended the revitalization of his own tradition does not mean that Christianity is a mistake. Rather, Christianity as a religion separate from Judaism came into existence as the result of a historical process which took several decades after his death. Two factors were most important. As a revitalization movement within Judaism after his death, the Jesus movement in an important sense failed. Though most of its early members were Palestinian Jews, it did not capture the allegiance of the majority of the Jewish people. The second factor leading to separation was the success of the Jesus movement in the Mediterranean world outside of Palestine. There it quickly became a mixed community of Jews and Gentiles, and the more Gentiles it attracted, the more it seemed distinct from Judaism. Thus, before the end of the first century, Christianity had in effect become a 'new' religion. Henceforth, though Christianity continued to affirm its connection to Judaism, the connection was increasingly to the Old Testament rather than to the Jewish people themselves. In terms of its membership, it was no longer a peculiarly or predominantly Jewish movement." Borg's historical Jesus is sometimes classified simply as the "Wisdom Jesus." Although this is probably an oversimplification (Borg himself objected to his work being boiled down to this), it does give a pretty fair image of his reconstruction. Borg's Jesus is primarily a Spirit-filled teacher, strongly critiquing the Judaism of his day as part of his message. A few hot button issues. In regards to Jesus' self-conception, Borg does not believe that Jesus thought himself to be Divine, or a kind of "final prophet" or Messiah. Borg's Jesus believes that he is called by the Spirit to renew the Judaism of his day and that he has authority to do so because of his experience of the Spirit. Anything beyond this is a product of the early church. In regards to eschatology, Borg's Jesus has nothing (that I can see) to say about a final judgment, or the coming eschatological kingdom of God. Texts in the synoptics which imply that Jesus does expect this, Borg again treats as products of the early church. For instance, he doesn't believe that the Olivet Discourse (Mark 13 and parallels) stems from the historical Jesus. Finally, in regards to the use of texts, Borg, like virtually all historical Jesus scholars, works only from the synoptics (Matthew, Mark, and Luke). Within the synoptics, Borg seemingly finds a core group of authentic sayings/narratives and forms his picture of Jesus from this selection of texts. He does not touch on historical method in this book, but I would assume he uses the traditional "criteria of authenticity" (multiple attestation, dissimilarity, embarrassment, coherence). As far as I can tell he uses the general impression of the synoptic gospels except where Jesus has an exalted self-conception or speaks of a final judgment. In some cases he lets history slide into the background and is just fine if stories become symbolic or metaphors, for instance with miracle stories and the resurrection narratives. When Borg does talk about the theme of "the kingdom of God" (which is rare), he emphasizes its present reality over an expected future inbreaking. Borg's picture of Jesus – a Spirit-filled man who taught an "alternative path" – is often used in the liberal Church. I wouldn't hesitate to call Borg's reconstruction "the liberal Jesus." The following is a lecture from Marcus Borg given at Vanderbilt Divinity School. In it, Borg discusses the impact of Albert Schweitzer on the discipline, and reasons why his paradigm differs from that of Schweitzer (i.e. why he rejects the "Apocalytpic Jesus"). Accepting religious pluralism generally entails seeing each world religion as a relative expression of truth. Instead of one’s home tradition being accepted as the absolute, God-given faith, each faith becomes a “finger pointing to the moon” – a human expression that points to the experience of God. 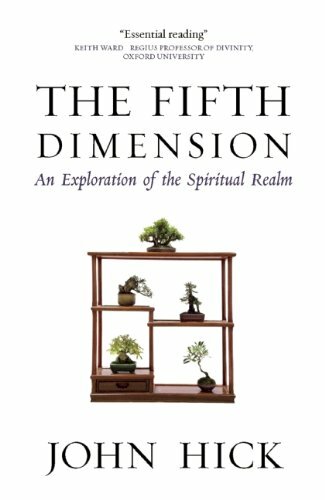 Hick, in The Fifth Dimension, advocates a certain way of continuing in traditional religious community – what he calls “living within a true myth.” This naturally entails seeing one’s own religious meta-narrative as a myth – a poetic way of pointing at certain truths of human experience and our relationship to God. “We have our own narrative of the human story, beginning with creation, continuing through redemption, with the cross of Christ as its pivotal point, and proceeding to the End, God’s grand finale. To say that this is myth, formed by the religious imagination in response to the person of Jesus, is not to say that Jesus never existed, but that the way in which his significance has been understood has been an exercise in mythological thinking. It is certain that there was a Jesus of Nazareth, living in the first third of the first century CE. Some of the stories about what he said and did must be historically true, some partly so, others not at all, and there has long been an academic industry devoted to sorting them into these categories. Such weighing of probabilities is the kind of work that lends itself to keen argument and debate, to the formation of rival schools of thought and to changing fashions of opinion. So the following picture can only reflect what I personally regard as the most reliable New Testament scholarship since the critical rediscovery of the Jewishness of Jesus in the 1970s. But did not Jesus make a claim to deity when he said, ‘He who has seen me has seen the Father’ (John 14: 9) and ‘I and the Father are one’ (John 10: 30)? The answer of modern New Testament scholarship is ‘No’. These enormously influential sayings were put into his mouth some sixty or more years later by a Christian writer expressing the developed theology of his part of the church. Even very conservative scholars today agree that the deity-claiming sayings of the fourth gospel should not be attributed to the historical Jesus. But again, was not Jesus the Son of God? Here again, modern historical scholarship has thrown a flood of light. The term ‘son of God’, which seems to the modern mind so momentous, was familiar throughout the ancient world. It was applied to pharaohs and emperors, to great philosophers and great heroes; and within Judaism it was a familiar metaphor for anyone who was a special servant of God. ‘Son of’ meant ‘in the spirit of’ or ‘specially blessed by’. And so Adam was God’s son, the Hebrew people as a whole were God’s son, their ancient kings were enthroned as son of God – hence the enthronement formula, ‘You are my son, today I have begotten you’; and indeed any truly pious Jew could be called a son of God. But within Judaism the term was always used metaphorically. Jesus then was wholly human. But he was one of the most remarkable, charismatic and God-filled human beings we know. His intense awareness of God was so powerful that in his presence people began, often for the first time, to be genuinely conscious of God as a living reality. And in his moral teaching he spelled out what it is to live consciously in God’s presence, trusting God’s loving providence and giving oneself freely as an agent of the divine love. But the message that God was about to sweep away all earthly rule – proclaimed by a popular preacher to whom the crowds flocked – was alarming both to the Roman authorities and to their clients, the Jewish leaders in Jerusalem. This was a volatile period of intermittent revolts which Rome was accustomed to squash without mercy. So when Jesus went up to Jerusalem to challenge the Temple priests in the name of God, they collaborated with the Romans in arresting and trying him, and Roman soldiers executed him by the standard method for insurrectionists, public crucifixion. But the powerful memory of Jesus and his teaching continued to inspire many of his followers, who now constituted a small ‘new religious movement’ within diverse first-century Judaism. They fervently awaited Jesus’ return in glory as God’s agent instituting the kingdom on earth. But as this was delayed year after year the expectation faded, and Jesus was gradually transformed in their thinking from the prophet of a future historical salvation to the agent of a present inner salvation. His spirit within them, the spirit of his life and teachings, was objectified as the Holy Spirit, the third member of a divine Trinity. And the Jesus cult developed into the cult of the risen Christ, transfigured and deified. With this the Christian myth was born. Marcus Borg, from the same understanding of world religion, advocated living within a religious tradition, seeing the tradition and, in the case of the following quotation, the Bible, as a sacrament, a means of grace and transformation. “Thus one major function of the Bible is the shaping of Christian vision and identity. The Bible has another primary function as well, and it is a further aspect of the relationship between the Bible and God. Namely, the Bible is a sacrament of the sacred. In the Christian tradition, the word ‘sacrament’ often refers to one of the specific sacraments: for Protestants, the two sacraments of baptism and the eucharist; for Catholics, those two plus five more. Central to the definition of ‘sacrament’ in this particular sense is that something that is sacramental is ‘a means of grace.’ The word ‘sacrament’ also has a broader meaning. In the study of religion, a sacrament is commonly defined as a mediator of the sacred, a vehicle by which God becomes present, a means through which the Spirit is experienced. This meaning thus includes the two (or seven) Christian Sacraments even as it is broader. Virtually anything can become sacramental: nature, music, prayer, birth, death, sexuality, poetry, persons, pilgrimage, even participation in sports, and so forth. Things are sacramental when they become occasions for the experience of God, moments when the Spirit becomes present, times when the sacred becomes an experiential reality. The Bible often functions in this sacramental way in the lives of Christians. It did so, for example, in the conversion experiences of many of the central figures of Christian history. Augustine’s conversion experience happened when he heard a child singing, ‘Take up and read,’ which led him to read a passage in Paul’s letter to the Romans that changed his life. Martin Luther’s breakthrough from anxious striving to the experience of grace, as well as the movement of the Spirit in John Wesley’s heart, happened through immersion in scripture. In each case, they experienced the Bible as a means whereby the Spirit addressed them in the present. The sacramental use of the Bible is also among the spiritual practices of both Jews and Christians. Meditation upon the Torah is an ancient Jewish practice. In the Christian tradition, a spiritual practice designed by Ignatius of Loyola involves meditating upon the images of a biblical text until they become animated by the Spirit. Another practice, lectio divina, involves entering a contemplative state and listening while a passage of scripture is read aloud a number of times with periods of silence between each reading. In these examples, the purpose of the practice is not to read or hear the Bible for information or content. Rather, the purpose is to listen for the Spirit of God speaking through the words of the biblical text. For many Christians the Bible sometimes becomes sacramental in private devotional reading. As with the practices mentioned above, the purpose of devotional reading is not acquisition of content. Rather, it is openness to the experience of God addressing the reader through a phrase or verse, openness to a sense of the Spirit present within. In such moments the Bible becomes sacramental, a means of grace and mediator of the sacred. God ‘speaks’ through the words of the biblical text. Hick ends his chapter on religious traditions as “true myths” by wondering aloud how this could play out in Christianity. Hick, from what I understand, lived most of his life within the traditional church, but became a Quaker as he neared death. Personally, I found it too hard to live within the traditional church after coming to pluralist viewpoint and have edged toward spiritual practice outside of religious structures. But there are many who live within the church, sharing this understanding of the tradition. I also find Quakerism to be a natural alternative religious structure for those who would rather not live within traditional Christianity, but nevertheless desire to have religious community. This is Marcus Borg giving a lecture on religious pluralism. Both Hick and Borg have been instrumental in my own understanding of world religion and how I understand my own home tradition. 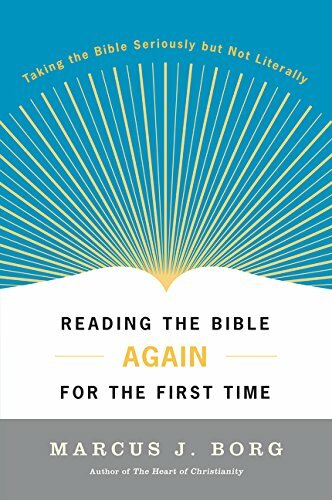 I recommend Borg’s Reading the Bible Again for the First Time for a written introduction to these ideas and a possible way of understanding the Christian faith from within a pluralist perspective. This lecture is also posted on the Blogcast.